Blockchain is much more than the database ledger technology that powers bitcoin. It is an innovative technology that will open new business opportunities, reduce transaction costs, and improve trust, security and efficiency of existing processes. It has the potential to disrupt and transform even, and perhaps especially, industries that have been traditionally resistant to change. 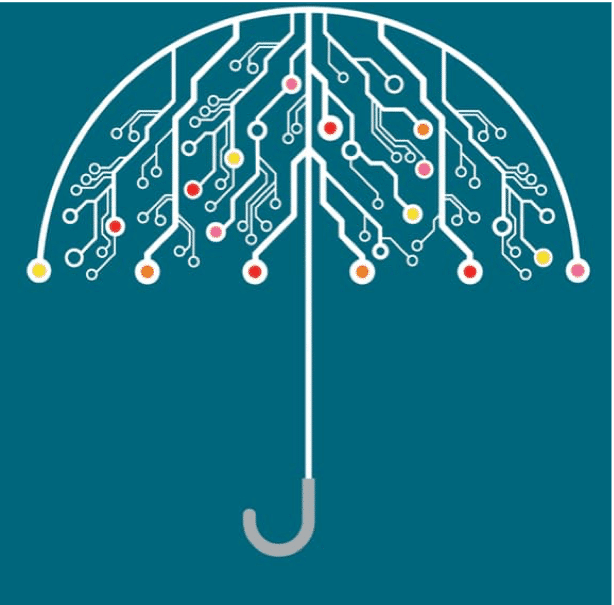 Insurance is an excellent example of an industry that could be significantly transformed by blockchain. Visionary business leaders are forging new use cases for blockchain technology and entrepreneurs are building “insurtech” companies that are pioneering new products and addressing new markets. To give you a glimpse into the future of insurance, we have profiled 3 examples of exciting startups looking to gain velocity in a traditionally slow moving space. Globally, insurance companies lose over $80B USD to fraud every year. 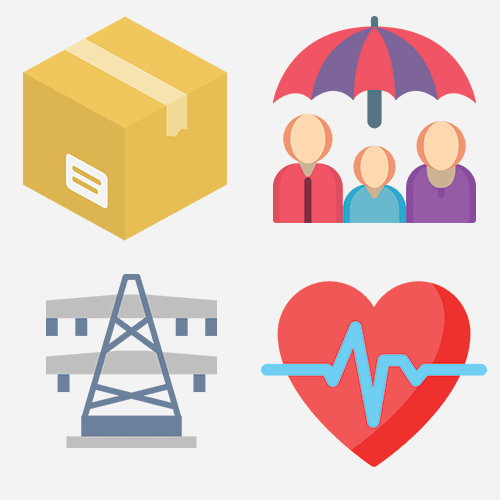 One of the biggest challenges faced by insurance companies in combating fraud is that adjusters primarily rely on physical processes to validate claim information such as item authenticity, ownership, history etc. that can be manipulated by fraudsters. The encrypted and immutable nature of blockchain transactions, coupled with its extraordinarily strong provenance capability and transparency of the transaction record, presents an opportunity to create an authoritative digital record or ‘fingerprint’ of real-world items and policies and claims. These unique digital records can be used to authenticate and track physical items of value throughout their entire life while making it extraordinarily difficult for criminals to defraud the system. One young start-up exploring this use case is UK-based Everledger. Everledger is a permanent digital global registry that records items of value, primarily diamonds (the company has recently begun registering collectible wine as well).The application works by digitally documenting a unique record of data points for the physical item; in the case of diamonds, 40 data points are captured for each stone (cut, karat, clarity, serial number, certification etc.). This information is then cryptographically stored on the underlying blockchain. Once a diamond is registered, it’s then possible to authenticate and subsequently track this stone for its entire life. The benefits of this functionality range from ensuring diamonds are certified through the Kimberly Process (a UN-mandated method of curbing the sale of conflict stones, or “blood diamonds”) to helping law enforcement officials combat diamond trafficking. From an insurer’s perspective, Everledger offers a new and exciting way to combat insurance fraud by providing a secure mechanism to accurately validate diamond authenticity and therefore identify fraudulent claims. To date, over 1 million diamonds have been registered with Everledger. The emergence of the sharing economy, exemplified by companies such as Uber and Airbnb, has created the opportunity for new, dynamic insurance products that address the challenges inherent in leveraging personal assets for commercial purposes. Beginning in 2015, UK-based SafeShare Global is using blockchain technology to facilitate short term commercial insurance contracts for the sharing economy. Blockchain technology enables SafeShare Global to provide on-demand, time-stamped and secure records of insurance without the need for a costly centralized “processor”. The cost disruption afforded by blockchain is allowing SafeShare to open up a whole new market. 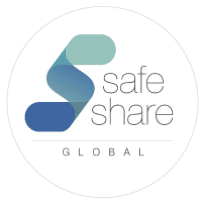 Safeshare Global is the first company in the world to launch a blockchain-based insurance solution to meet the needs of the sharing economy. Partnered with Vrumi, a UK-based company that allows homeowners to rent extra rooms in their private homes to individuals in need of space to run their businesses, the SafeShare application enables users to acquire temporary short-term insurance for each day of the rental agreement. The coverage provided (which is underwritten by Lloyd’s of London) fills a gap that is often left by standard residential homeowner’s policies when the insured property is used for short-term commercial rentals. The underlying blockchain infrastructure enables SafeShare Global to provide a time-stamped, immutable record of insurance in real-time and at a substantially lower cost than traditional home-based business polices (just 2 GBP a day, or roughly $3.50 CAD). This insurance solution is generating significant buzz and recognition; the company was recently shortlisted for best insurtech startup at the 2017 Digital and Insurtech awards in London. One of the most powerful capabilities of blockchain technology is “Smart-contracts” pioneered by the Etherium blockchain. Smart-contracts are programmable logic that self-execute once pre-determined conditions are met without the need for third-party intervention. This technology has tremendous potential to automate, and thus dramatically reduce costs, of all manner of contracts including insurance claims. One company that is currently developing this potential is Etherisc. Etherisc is a German-based insurtech company that is leveraging the Ethereum blockchain to build decentralized insurance applications. So far, Etherisc has demonstrated the power of leveraging the Ethereum blockchain to create insurance applications with their Flight Delay Decentralized Application (DApp) experiment. The Flight Delay DApp experiment was conducted in September 2016 and allowed participants the opportunity to obtain flight delay insurance (to a conference in Singapore); if their flight was delayed or cancelled they would receive a payout based on the terms of the policy purchased. The application cleverly leveraged an API with flightstats.com which permitted the calculation of flight cancellation and delay probability based on historical data, this information was subsequently used to determine payout and premium. If the flight was delayed or cancelled, the Flight Delay DApp was digitally notified and automatically processed a payout without any manual verification or processing.Although this test was limited in size, the results from the experiment clearly demonstrated an innovative use-case that has formed the starting point for Etherisc to expand into other insurance verticals and to develop completely new insurance products. These are early days for blockchain technology. The technology is developing very quickly as significant capital and countless innovative minds are being invested into it.While it is still too early to think about migrating core business systems to this new technology, it is time to conduct a blockchain impact analysis, build a Blockchain strategy and pilot potential solutions through controlled experimentation and testing. Blockchain opens up an exciting new world of possibilities and those who don’t act quickly may be left behind. Did you find this article interesting? Would you like to learn more about how to leverage blockchain technology in your industry? Contact us. Blockchain and Bitcoin: What are they?